Clark County, Vancouver, WA: The malicious prosecution & wrongful conviction of John Garrett Smith is riddled with unanswered questions the Prosecutor’s Office & Vancouver Police Department scramble to keep buried.Continuing discovery of hidden evidence, concealed witnesses, suppressed audio depositions, disregarded exculpatory DNA Crime Lab reports, crime scene spoliation, and proof of fabrication of evidence & perjury by State’s key witness & lead detective, Sandra Aldridge, creates mounting liability for Clark County. Like a 5 year old child with his hand caught in the cookie jar, the Prosecutor's Office clings to the lie rather than accept responsibility and begin to address a problem that has plagued Clark County and its citizens for decades. 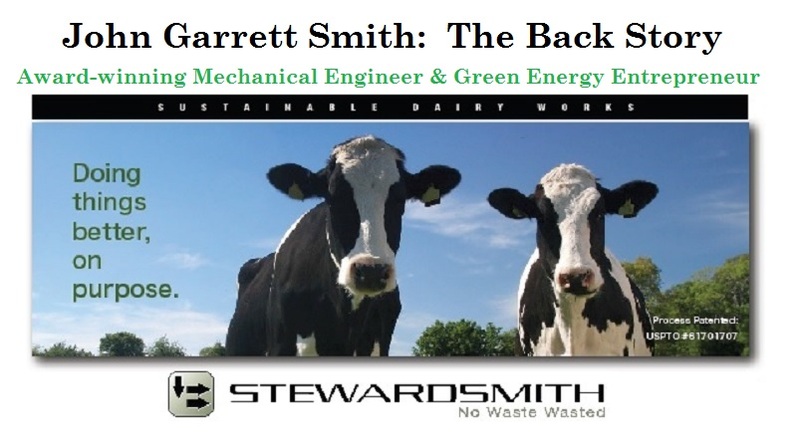 Who is JOHN GARRETT SMITH? ...We will continue to advocate for your father's freedom. The evidence is overwhelming that Detective Aldridge tampered with his iPhone in order to obtain an unlawful arrest and wrongful conviction. 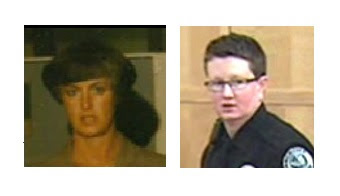 It was based upon false allegations that he attempted to murder Sheryl [Cresap-Smith]. The iPhone voicemail recording was the key piece of evidence that enabled Clark County to obtain a wrongful conviction and sentence him to 12 years in prison for a crime that never occurred. The background has been investigated and the financial data has been gathered to prove that your father had been taken advantage of by his second wife and her handlers. 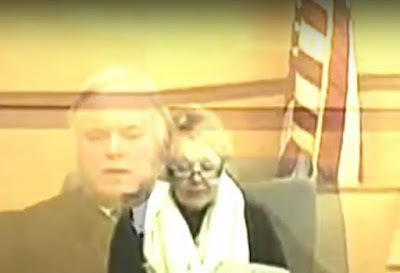 Sheryl [Cresap-Smith] preyed upon Garrett in 2009 when he was most vulnerable. In Aug of 2011, Garrett's business partners, Joshua Gotlieb and Charles Barker, swindled $660K from his Hawaii business ventures, Co-gentech Pacific and Poly-gentech. The proof has been compiled and archived. Clark County Prosecutors' request for discretionary review of the Court of Appeal's October 4th, 2016 unanimous reversal of the conviction of JOHN GARRETT SMITH comes before the state Supreme Court on Thursday, June 8th. 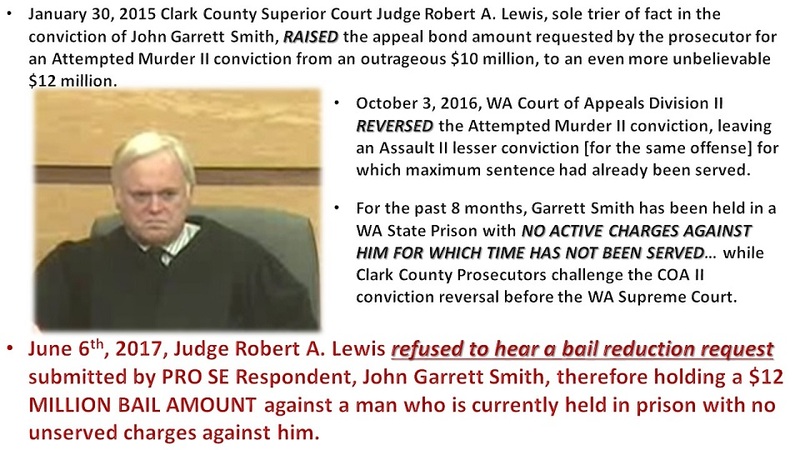 Meanwhile, Garrett Smith, with no unserved charges currently against him, is being held in a Washington State Prison on an Appeal Bond of 12 million dollars. 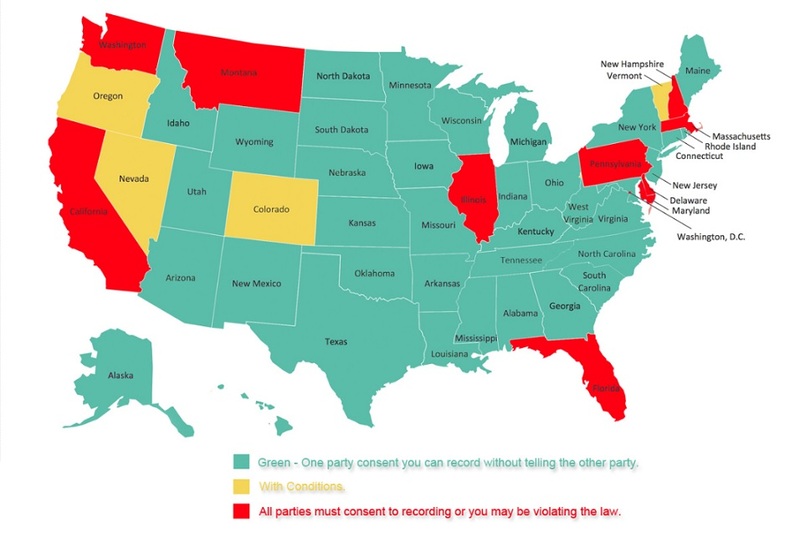 Washington is one of 10 states that still enforces an "all party consent" law when it comes to recording a private conversation. With slim and vaguely defined exceptions, a recording in which all parties did not give permission to record, is not admissible in court. Said "recorder" could be charged with having violated the law. RCW 9.73 is a hot button topic within WA state and local government. In the case against John Garrett Smith, attorneys statewide have scrambled at the opportunity to affect Privacy Act case law. On December 3rd, 2014, in a bench trial, John Garrett Smith was convicted of Attempted Murder II. On October 4th, 2016, in a unanimous decision, the Court of Appeals Division II reversed the decision based upon a violation of the State's Privacy Act. The ONLY piece of evidence used to convict Smith of Attempted Murder II was a fabricated voicemail recording. Fabrication of Evidence within Policy in Clark County, WA? I recently attended the 9th Circuit Court of Appeals hearing involving the $9 million civil award owed to Ray Spencer for Clark County's fabrication of evidence that led to nearly 20 years of his wrongful incarceration. Like the Honorable Judge Andrew Hurwitz, I was astonished that in Clark County, it is considered "acceptable practice" for law enforcement to fabricate evidence as long as the officer feels the accused is guilty. 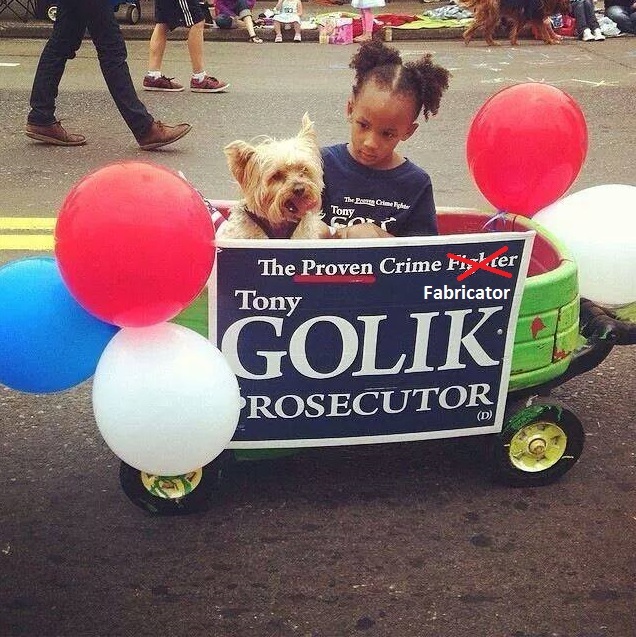 My question for you, Mr. Golik Is this: As Clark County's elected Prosecutor, is this still your position today? Does VPD allow sexual misconduct if it doesn't involve a local Prosecutor? "In your interview, you acknowledged encouraging Randi to watch the Melissa Ferrick "Drive" video. The transcript of your interview describes the video as "two women that are naked in bed." You yourself describe the video as "sensual." Further, you stated that the reason you complemented Randi (via text) on her looks and suggested that she watch the video, was in order to help her with her self-esteem and make her realize that her partner should treat her better. Clark County & VPD: Wake up and smell the 30-year-old coffee! A July 3, 2017 Columbian article [link above] reports Clark County's latest failure in its attempt to avoid payment of the $9 million jury award to Ray Spencer and his family. In reviewing Clark County's original refusal to pay the award back in 2014, journalist Jessica Prokop states, "...the Clark County Commissioners unanimously voted to not pay the $9 million. Then-Commissioners Tom Mielke, David Madore and Steve Stuart voted to no longer protect Krause and Davidson by paying the award. County Prosecutors argued that since Krause was found to have fabricated evidence, she was outside the scope of her duties as a county employee."